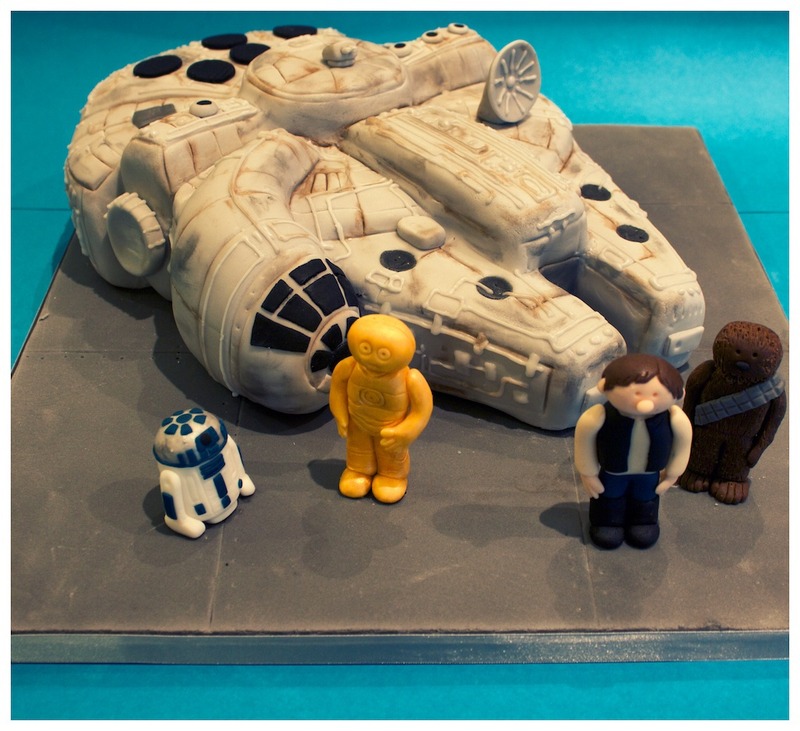 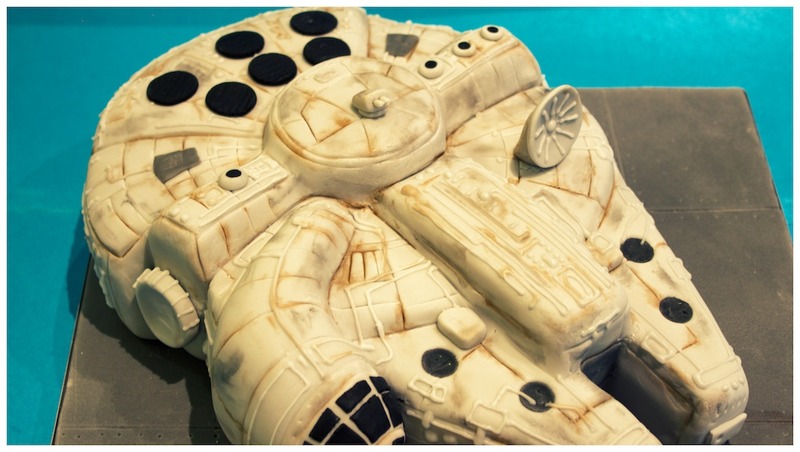 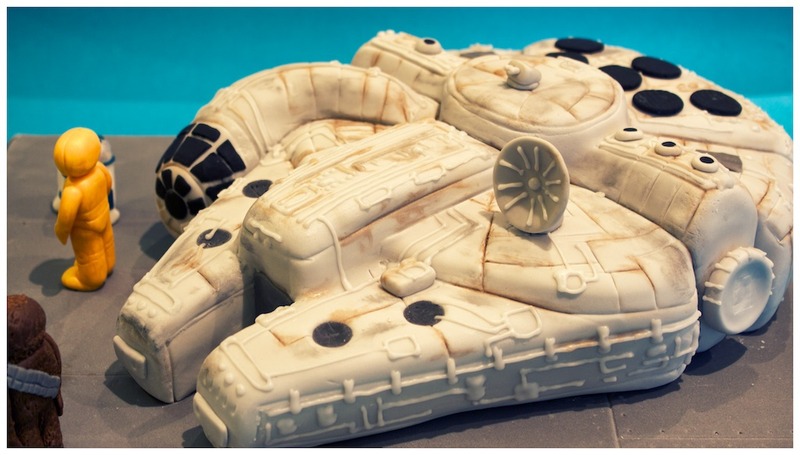 Millennium Falcon 3D cake comprising of vanilla sponge, buttercream filled cake hand carved and covered with fondant. 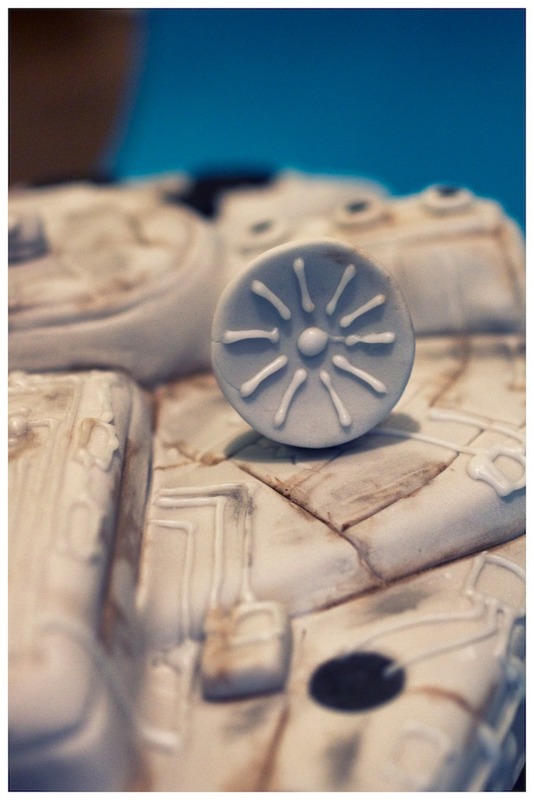 Royal icing and hand painted detailing. 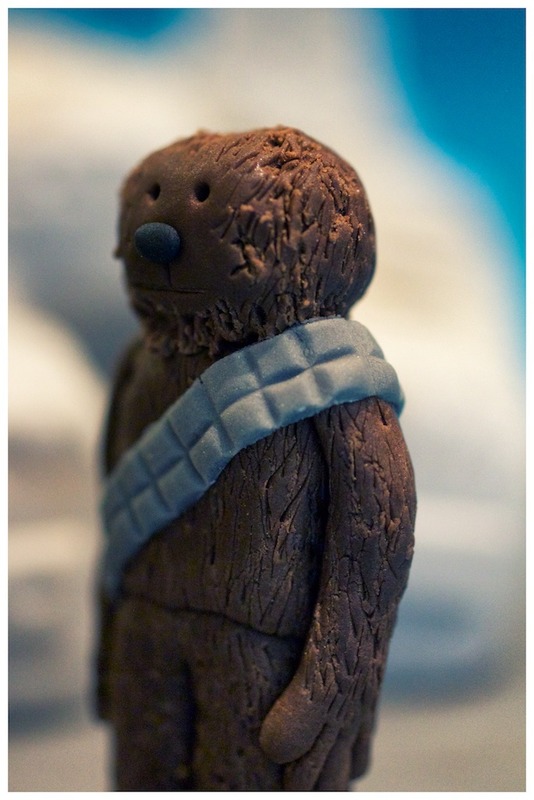 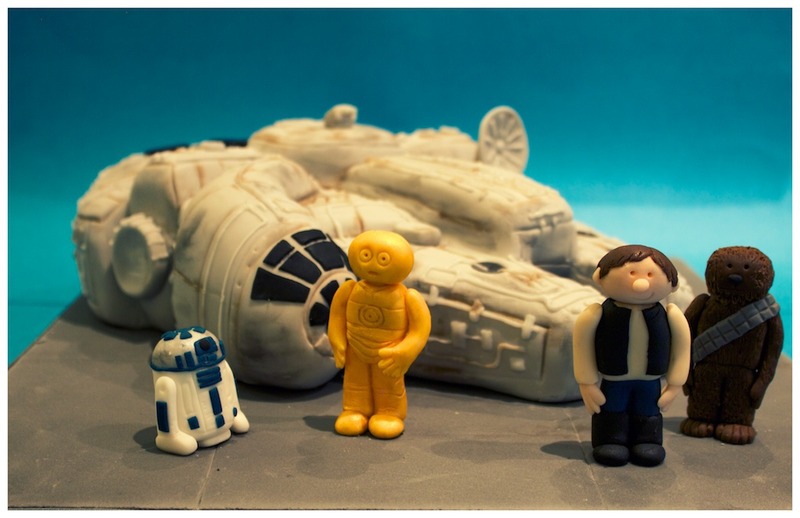 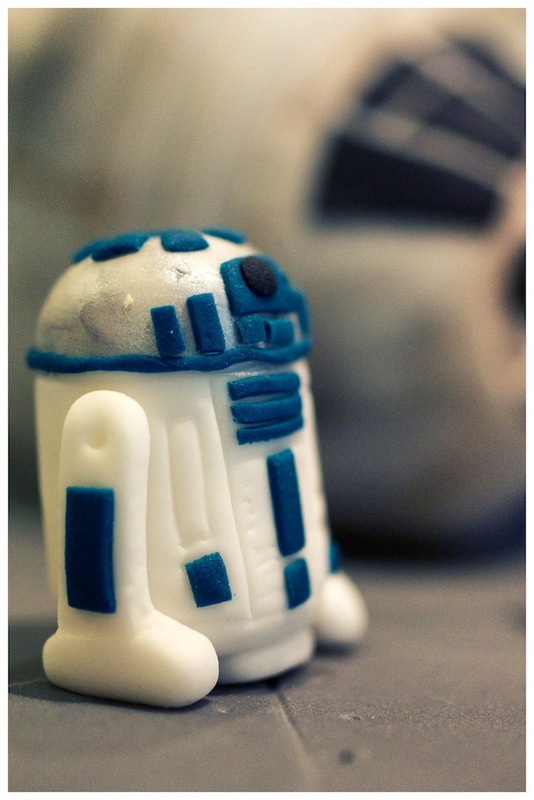 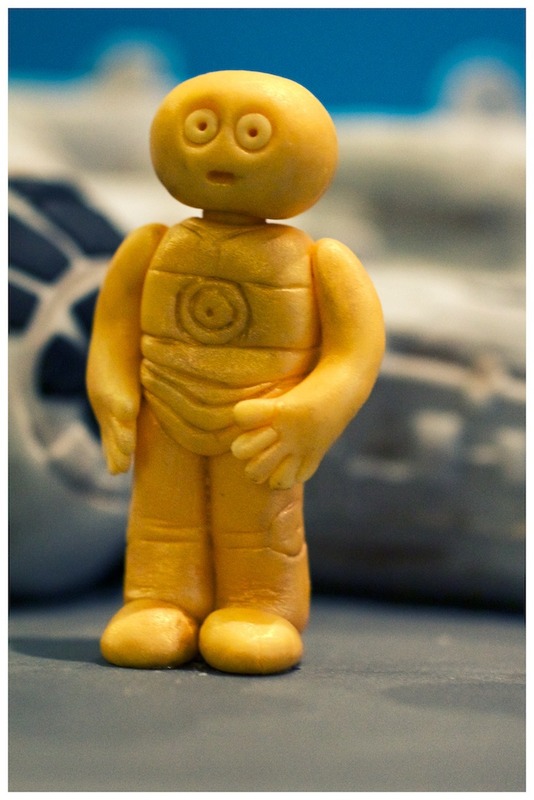 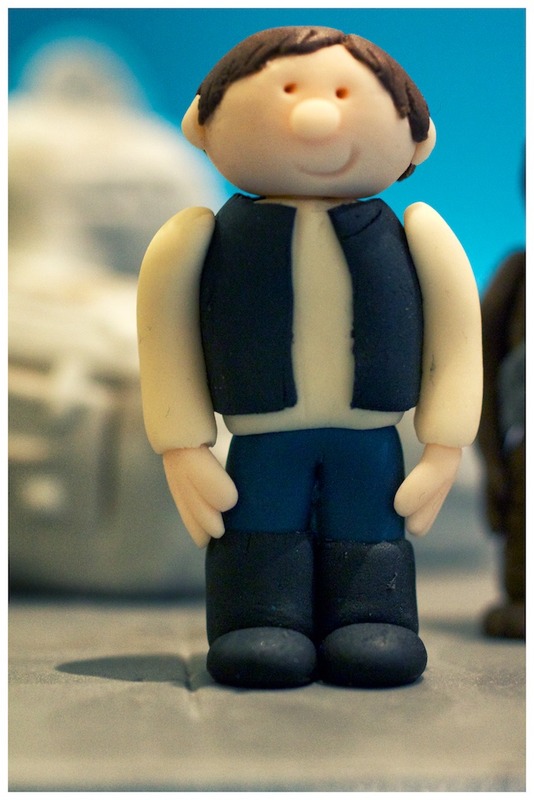 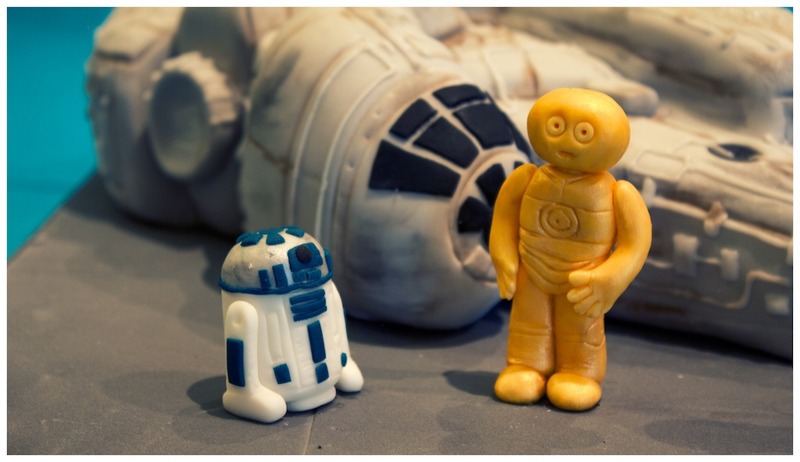 Complete with hand made gum paste figures of R2-D2, C3P0, Hans Solo & Chewbacca.